Motion Control: These shoes are typically the most rigid and heavy shoes available. They have more support and cushion then other running shoes. They’re typically recommended for people with flat feet, or who are heavy runners. Stability: Stability shoes are recommended for people who overpronate. This means your foot tends to roll inward slightly when you’re running. Cushioned/Neutral: As the name suggests, neutral shoes are designed for people with a neutral gait. Typically they have a little bit of cushioning. Minimalist/Barefoot shoes: These shoes tend to have little to no cushioning or support. They’re meant to mimic barefoot running as closely as possible while still providing the protection many people need. What does this all mean to you as a shopper? Not that much, actually. A lot of footwear companies are shying away from the rigid categories above because a number of studies that have shown previous ideas about foot type and the kind of shoe you need aren’t as accurate as you’d think. A series of studies done by U.S. Military showed that the type of shoe isn’t as linked to injury as we used to think. Additionally, studies from the University of British Columbia, and the British Journal of Sports Medicine show that how shoes are prescribed and sold is typically over-simplistic and not based on evidence. Basically, the way running shoes are sold doesn’t exactly correlate to injury prevention or comfort. That said, running shoes are still important. As WebMD points out, running shoes don’t have lateral stability because you don’t move your foot side-to-side when running. Other shoes, like basketball or tennis shoes, provide lateral support, which you don’t really need when you’re running. The American Podiatric Medical Association recommends that if you participate in one sport on a regular basis you should buy a sport-specific shoe. All decisions could and should be based on one main factor in my opinion: comfort. Believe it or not comfort has been linked to injury frequency reductionand is thought to be the most important variable for sports shoes, and a focal point for any future sports shoe development. We all know that comfort is subjective and subject specific so with that in mind only the wearer can confidently choose the most appropriate shoe for themselves. [Be wary of the shop assistant/Podiatrist who tells you the exact make and model shoe which is best for you]. What one person finds comfortable will differ greatly from another; perhaps this is why some people find that stiff supportive shoes work best for them, and others discovered that barefoot running was the answer to their long history of injury woes. The unfortunate truth here is that it takes a bit of trial-and-error to get the right pair of shoes. As The New York Times points out a lot of debate still surrounds the best shoe type and running style. While the shoe types that you find in stores can help narrow down your options, they’re not the end all of finding the right shoe. The best running shoes are shoes that will be kind and gentle on your feet throughout any running exercise. This benefit will reflect itself in its most striking way immediately after a workout, when the way your feet feel then is a good indication of whether you have the right pair of running shoes or not. A good number of people even today still do not realize–or underestimate–the importance of investing in a good pair of running shoes. These are the kinds of people who awkwardly show up for track and field events or even light running exercises in the bulkiest pair of basketball shoes that they can find. These kinds of people are also the ones who will have massive amounts of pain in their feet right after the running exercise. If you use any kind of shoes–even ones for other types of athletic purposes–when you run, you will end up with the most sore feet ever. A further taboo is picking the incorrect kind of socks to make matters even that much worse. In example, cotton socks are a big no-no when it comes to picking socks for running because of their tendency to cause friction against your skin. So if you are wearing unwieldy and inappropriate shoes–such as basketball shoes–and cotton socks that are thick, you should expect to see your feet in bad shape after your running exercise. It is noteworthy to point out that this adverse effect will happen quite quickly, too. So if you want to avoid blisters and the effects of sore feet and the front of your legs, invest in a good pair of running shoes. Good running shoes will do one thing and provide one benefit first and foremost: a snug and well-shaped fit that is tailored to your foot as much as possible. A good pair of running shoes will also make your foot feel lighter as you run, and a reason for this is because of how well it takes to the shape of your foot. The problem that is caused by the rubbing of your heel against the wrong kind of shoe during running–which creates the onset of blisters–is also absent with the right pair of running shoes. You will not feel this nagging rubbing against your heel. These days, many athletic shoe stores provide in-store machine tests which show your foot type and, consequently, what type of running shoe best fits you. Selecting a good pair of running shoes comes down to pronation. This term simply refers to the degree your foot rotates toward the inside when you run. There are two kinds of runners: One who has too much pronation (whose foot rotates too much while running) and one who has insufficient pronation (whose foot barely rotates inward when running). The best way to get a pair that is right for you is by visiting a shoe store that emphasizes selling running shoes. These stores usually have a knowledgeable staff that will even let you try running around in the shoe. According to “The Benefits of Running,” which is a paper written by Elizabeth McLeod Sadler of Vanderbilt University, there are a number of benefits associated with running, including drops in blood pressure and body weight, and increases in lung capacity. While the types of equipment needed by runners is relatively limited, a good pair of running shoes is a must. Running shoes not only provide substantial midsole foot cushioning, they also offer arch support, aid in the prevention of injuries and can promote improved athletic performance. The American Council on Exercise reports that midsole cushioning is one of the most important benefits associated with the use of running shoes. As suggested by the name, the midsole is the area between the ball and heel of the foot. The American College of Sports Medicine says that the foot cushioning provided by running shoes can reduce some of the stress placed on the heel, ankles and toes during a run. This makes the activity more comfortable and safer. Appropriate cushioning can also help alleviate or prevent knee, hip and back pain, as it improves body mechanics. Arch support is a must for individuals with flat feet — especially if they participate in a regular exercise routine. It is no surprise, then, that the arch support provided by most running shoes is a major benefit for most avid exercisers. The American College of Sports Medicine suggests that runners with flat feet consult a physical therapist or exercise physiologist for recommendations on the best running shoes. While flat-footed runners may experience the greatest benefit from the arch stability found in most running shoes, even those with high arches can benefit from the right kind of support. In many cases, running shoes can help prevent certain types of injury. In fact, the American College of Sports Medicine suggests that the midsole cushioning and arch support described above can prevent overuse injuries, such as tendonitis, stress fractures and joint pain. Though barefoot running — in which exercisers run without the protection of any foot covering — has increased in popularity over the past few years, the risk for cuts and scrapes is high. The American Council on Exercise reports that the outsole protection offered by the shoes reduces injury to the feet. Those who use the right type of running shoe may experience greater athletic improvement than those who do not. The experts at the American Council on Exercise believe that this is likely due to several factors, including greater comfort and improved running capacity. 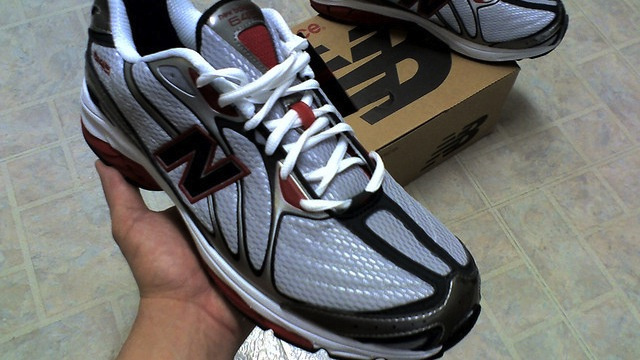 Competitive runners, therefore, should greatly benefit from wearing them. Even those who are not competing can still achieve improvements in athletic performance by wearing running shoes. At Famous Footwear provide free home delivery.It's important to us that we provide affordable shipping options, In order to provide you with the most competitively priced shipping options, we have negotiated special rates with select carriers. It’s fast approaching that time of year again when gift giving is at its height and maybe you want to send someone a lovely new pair of shoes.We have extra rates applicable for special gift packages at great value. No. 117 Clarendon Street, Victoria-USA.